Want To Talk To The Dude?? Ready to implement a video marketing campaign that ATTRACTS business using your personal brand? Did you like this content and want more? Take the advanced training discounted from $147! 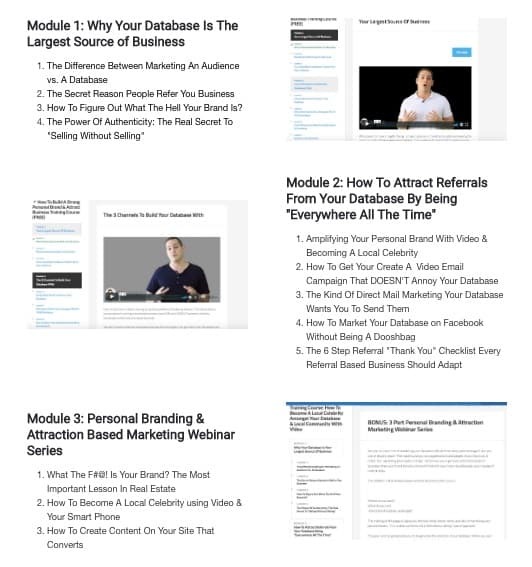 Want To Unlock The Rest Of The Training Lessons On This Page? It’s not your database’s job to refer you business, it’s your job to remind them to! Agents with a strong personal brand don’t chase business, it chases them. We’ll lay out the entire strategy so you can begin building your own personal brand being “everywhere all the time”. I don’t know about you, but I like working smart not hard! I’m interested in the cold marketing course, how do I purchase? Nice to meet you Cathi. Hold on about a week and I’ll have a surprise for you! How To Figure Out What The Hell Your Brand Is?